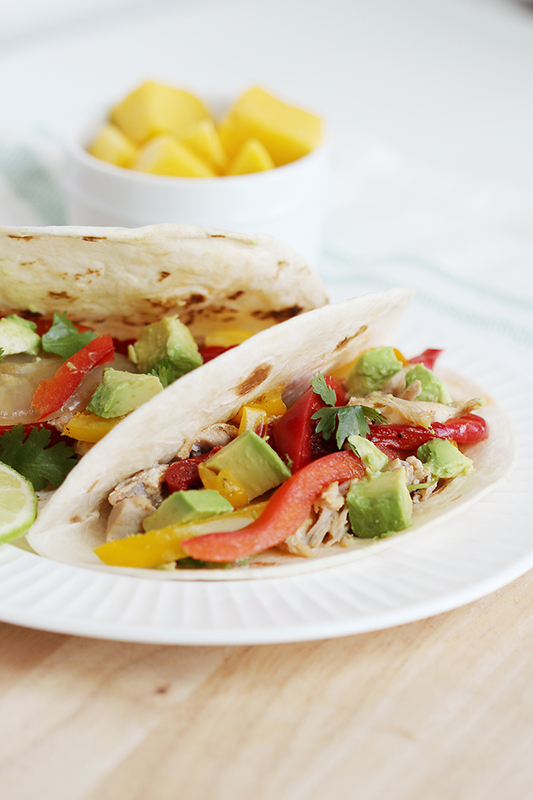 Crockpot Citrus Chicken Fajitas are a great weeknight set-it-and-forget-it dinner. 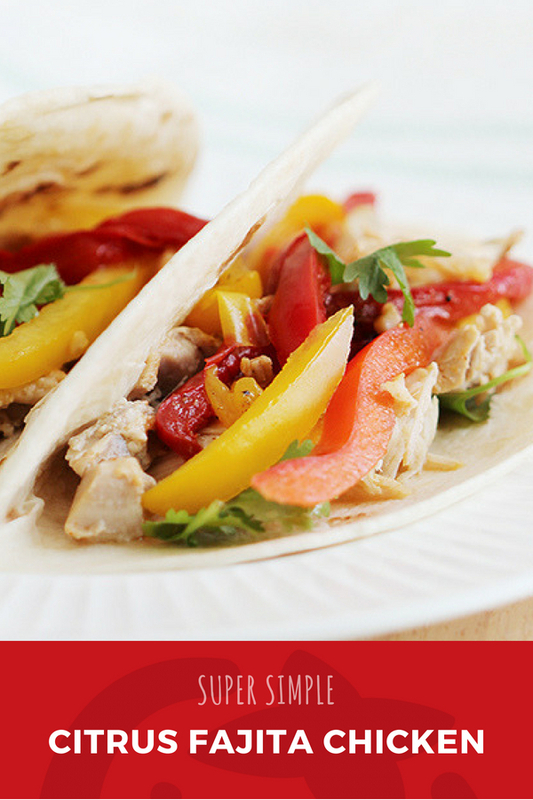 Sweet bell peppers, tangy citrus flavors, and savory chicken on fresh tortillas makes this dinner a family favorite! 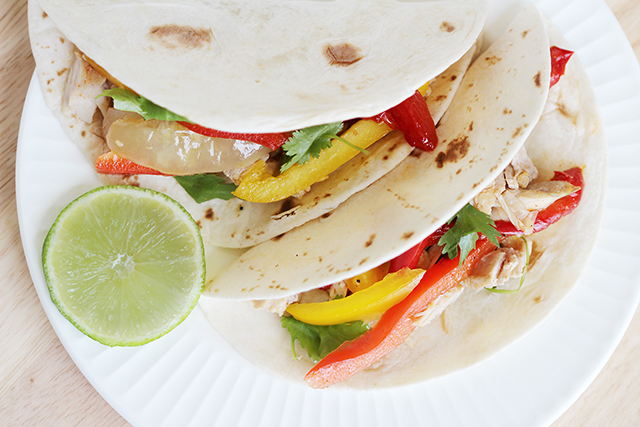 Chicken fajitas are a delicious dinner that most adults and kids love. They can be time intensive because there is a lot of chopping and cutting involved. The great thing about making them in a slow cooker is that you can do all of the prep at a time when you aren’t feeling rushed. Chop everything the night before and then add it all to the crockpot in the morning for a stress-free meal. The flavor and texture of flour and corn tortillas are very different. But that isn’t all that is different. The nutrition profile of the two are also very different. Overall, corn tortillas are a healthier option than flour. 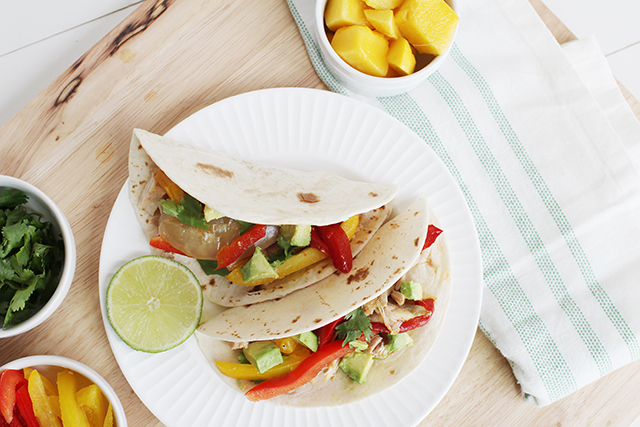 What is good to serve with crockpot chicken fajitas? 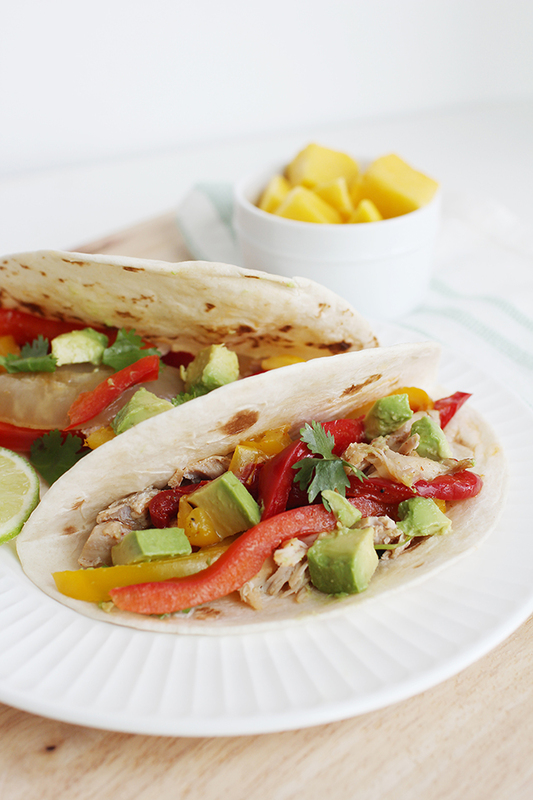 How Do I Make Crockpot Chicken Fajitas with Citrus? 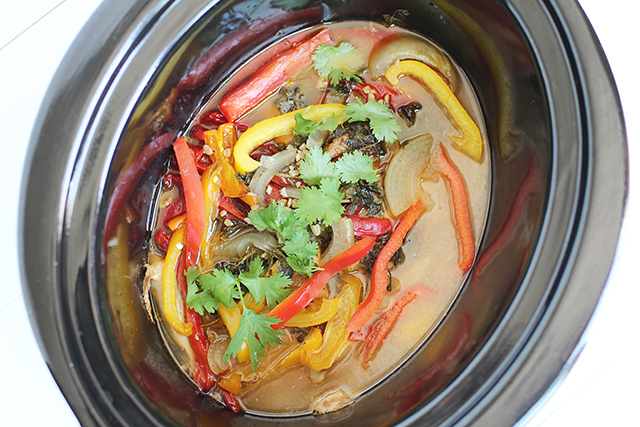 This recipe is really easy – basically you just add everything to your crockpot! We love the added flavor of the limes and oranges that everything cooks in. Add the juice of the limes and the orange to a mixing bowl. Mince garlic and add to juices with chili powder, cumin, oregano, pepper, salt and chopped cilantro. Whisk together. Slice chicken and place into crockpot. Slice peppers and onion, place on top of the chicken. Pour in the citrus juice and seasonings. If you use chicken thighs, the meat will literally fall apart and so you probably won’t need to shred it. If you use breasts, you might want to shred it a little before serving.